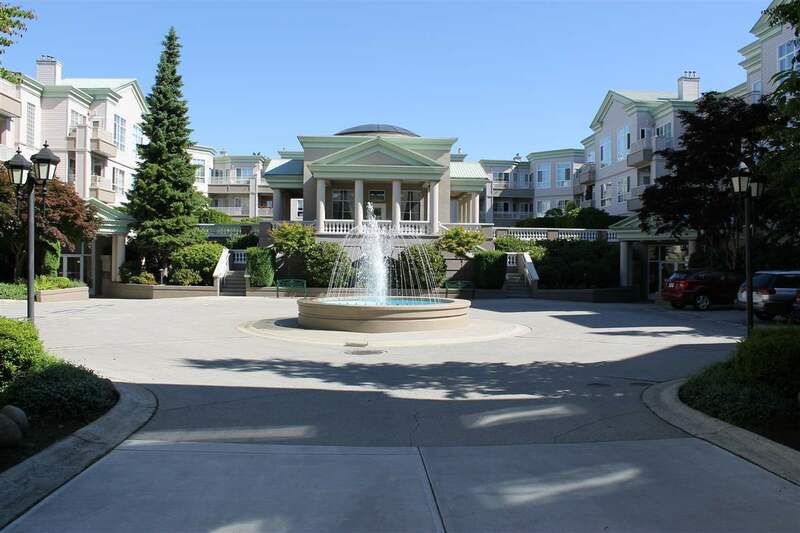 "Super clean, massive 1,250 sq ft top floor unit in "Regent's Gate", Richmond's Premier Adult Oriented Complex! Very well run and looked after development - fully rainscreened a few years back, newer roof etc. Worry free living. Complex features security gate, courtyard fountains, and tremendous Rec facilities with guest suite. This unit has large rooms that will fit house sized furniture. Bonus is full size insuite laundry room and bright and sunny eating area. 12' ceilings in living room and bedrooms. Skylight in entryway. Radiant in floor heat which is included in strata fees along with hot water, gas, City Water and Sewer, Rec Facilities and on site caretaker. Note age restriction of 19. A very good buy!"